I love stationery more than I love chocolate and trust me, I looove chocolate. As the school year is now in full swing I thought I would share my favourite stationery. What better time than now, right? I have had this pencil case for about two years now and I'm not planning on getting rid of it anytime soon. You may have spotted it in my '2016 Blogging Goals' post and as you can see it speaks the truth. No one ever thinks unicorns are lame. I really think this pencil case was made for me! I can not cope without these. Last year I had such a wonderful pack of pens which I used to draw zentangles but unfortunately, I lost them. I did however, replace them with these pens and though they may be rather different I always find these so useful for making motes or just for doodles. They are also quite affordable which is always a winner. Isn't this such a life saver? It is so pretty as well, I absolutely love the designs and I love the colours even more. As I mentioned in my '2016 Blogging Goals' post I really need to get organised this year and this is the first step. Seeing what I have to do motivates me to actually get stuff done. I don't know what I would do if this book were to go missing. As it states, it's filled with many bright ideas, well mostly blogpost ideas and Youtube video ideas. I haven't filmed a video in ages but I will be uploading one soon because Santa brought me a tripod stand for Christmas. Thanks Santa aka mom and dad. I always take this notebook with me to school. Let me warn you, it's filled with lots and lots of to do lists. They make me feel organised and there's nothing that feels better than crossing something off. I got this from my sister for my birthday last year. It's has a bible verse on every page so not only does it help me stay organised but it also gives me a dose of inspiration. Pretty stationery motivates me so much! Oh my word these are all so beautiful! Stationary just makes me so happy! Stationery is the definition of happiness! I love love loveee stationery as well! I just feel so organized haha. 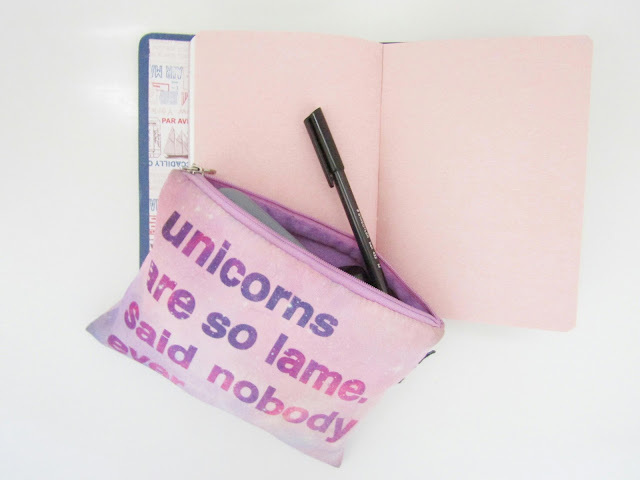 That pencil case is too cutee! Pretty stationery also makes me feel so organised! I'm obsessed with stationary as well! You can never have too many!! I love your daily organizer as well, I need to get myself one of those for this year! You should! It's such a life saver! I love stationary!!! It is seriously one of those things I can spend all my money on! I love Typo too I shop there all the time. I always spend all my money at Typo! Absolutely love the unicorn case! And I'm obsessed with daily planners right now, I don't know what I did without one! Right! Daily organisers make life a bit easier! The planner is not only pretty but it has so many categories, I can literally plan my life on a piece of paper! Your blog is too lovely! I've always had a thing for stationary glad to find someone who feels the same. Thank you! It's always great to find fellow stationery lovers! I feel like a seriously NEED that pencil case. I'm literally sitting on my couch dreaming of how I could possibly make my own... And I definitely cannot go without my colored pens! Awesome post! It's a pretty pencil case andni couldn't go without my coloured pens either! I adore the daily organizer! It's so cute and pretty. It's beauty motivates me to actually do the stuff I write on it! I love stationery!!! These are so cute! Love the Bright Ideas notebooks!! It's such a wonderful notebook, I can't live without it! I am a stationary hoarder, too. Though I haven't been spending much on it since college schedule and budget doesn't let me, but once I am done with my final year, I know where to splurgeeee! I LOVE stationery, it just makes me so happy! Every year I buy myself a new packet of those coloured pens, the pink and purple are my favourites. I haven't purchased a 2016 diary this year actually, not sure which one to get and January's nearly out! Don't worry, dairies always get cheaper as the year progresses. So I guess you're the winner! 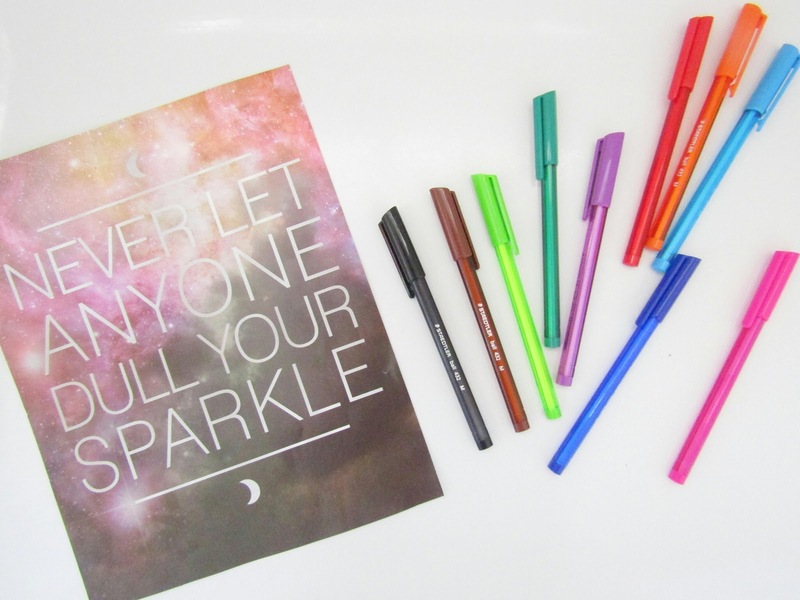 I find nice stationary to always be a motivator when it comes to planning and organisation! Using pretty stationery makes everything better! As a full blown stationary addict, I lapped up this post. 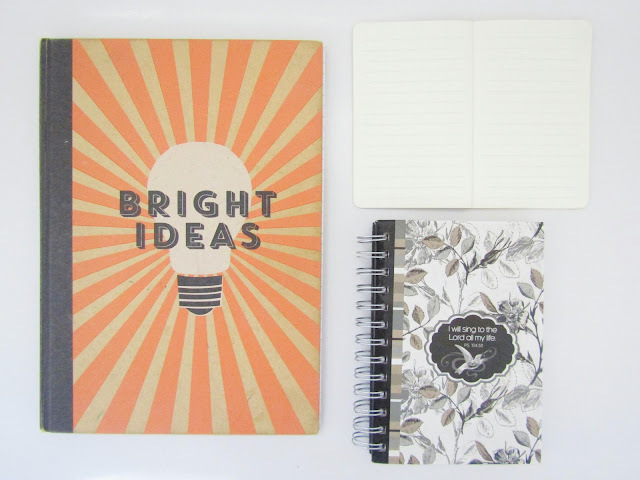 Love the organiser, pencil case and bright ideas note book. 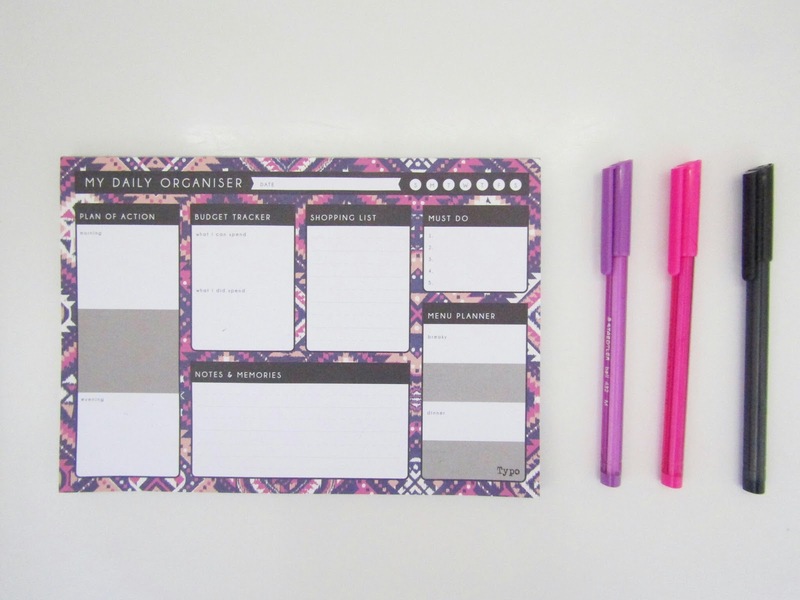 Organising is so much more fun with pretty things, and these definitely tick all the boxes! These are gorgeous. I especially love the Bright Ideas notebook! I'm obsessed with stationary too! Starting a new year is always my favourite time because it means that buying lots of stationary is acceptable! I love the daily organiser, I will need to look into getting myself one of these- Thank you!